This badge was issued to Andrew Nash on 07 Sep 2016. Earners of Modern Data Center digital badge have the knowledge of Modern Data Center (MDC) technological components, namely: CI/HCI, Flash, Scale-out, Software Defined, Cloud Enabled and Trust. In addition, they will have the required understanding to participate in “IT transformation” of their organization, which involves Modernization of Infrastructure, Automation of Services and Transformation of People & Processes. 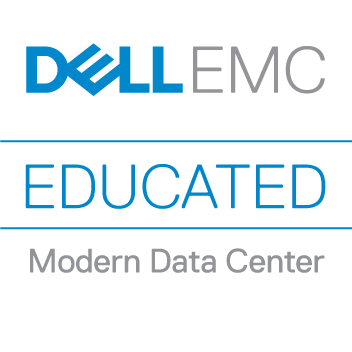 Complete the end-of-course assessment to validate knowledge of the Modern Data Center concepts. A passing score is required.